Gerunds are an important grammar form to understand and to be able to use effectively in the IELTS test and in your English more generally. They are nouns and they are formed by adding -ing onto a verb. Take a look at this paragraph - the gerunds are in red. Learning vocabulary is very important for the IELTS test. Though it is important not to neglect the other skills of speaking, reading, writing and listening, knowing a broad range of words will help you with all the other parts of the test. Unfortunately, many students dislike spending the time that is needed to fully understand each word, but not taking vocabulary seriously could be a big mistake. Eating bananas, apples and oranges everyday is good for you. Walking and swimming are both good forms of exercise. To make the sentence negative, 'not' is placed before the gerund. Not exercising regularly is dangerous for your health. Some people like swimming to keep fit. As subject complements after the verb "to be"
A good way to improve your English is watching American TV series. Watching American TV series is a good way to improve your English. Another method of learning English is to read lots of fiction books. If you wish to put two verbs together, then the second verb will need to be a gerund and / or infinitive. We always finish eat very late. We always finish to eat very late. If "finish" is followed by another verb, it needs to be a gerund. We always finish eating very late. There is no grammatical reason for this as such, so you just need to learn the verbs and practice writing some sentences with those verbs. Go to the infinitives grammar lesson to learn more and the gerund and infinitive lesson to learn about verbs that take both. I appreciate you taking the time out to see me. You should avoid drinking sugary drinks. The government considered banning fox hunting. I delayed paying the fine for speeding. We discussed sending the children to another school. Most people dislike getting up early. I enjoy having a day off. My job involves moving around the country a lot. I miss seeing my family everyday. We postponed marrying until we had the money. He practiced hitting the ball against the wall. I will quit smoking next month. I can't ever recall shouting at my children. 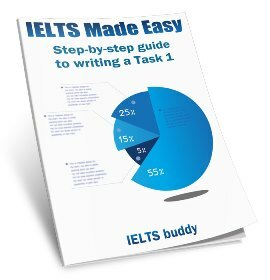 This book recommends studying for IELTS everyday. I resent my manager firing me from my job. I wouldn't risk taking IELTS before you are prepared. If you stop worrying, you will perform better. She suggested studying in Australia. If you place a verb after a preposition, the gerund form is used. I am interested in learning a new language. There are many advantages of taking a sabbatical from work. I passed my exams without trying too hard. 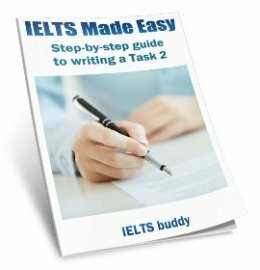 I'm worried about sitting for the IELTS test. I got a band 7 by studying very hard. I was shocked upon hearing the news. I'm sorry for talking so loud. The best way to learn these is to understand collocations - words that commonly go together. For example, we always talk about being "interested in" something, or the "advantages of" something. We also use them to talk about an activity with the word 'go'. I wanted to go jogging but my friend said he'd prefer to go swimming instead. They are also used to make reduced adverbial clauses. Below are some examples. However, there are various rules for reducing adverbial clauses so you should make sure you understand these rules before attempting them. We will look at the rules for this in another lessson. While I study, I listen to music. Before I went out, I turned the lights off. I locked the doors after I got home. Reduced: I locked the doors after getting home. Because I was tired, I could not study any longer. Reduced: Being tired, I could not study any longer. As mentioned above, you should avoid using them until you have studied and practiced them, otherwise you may make mistakes. Have you found this page useful? If so you may be interested in our top selling writing eBooks! "The books are beautifully written and are just as they say on the cover - a step-by-step guide. I highly recommend them!"